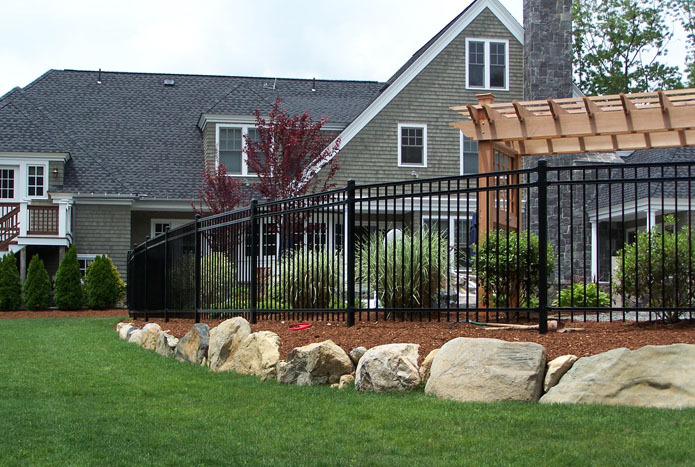 Ornamental Steel Fence | American Fence | Toledo | American Fence & Supply Co.
Easy rack-ability with hidden pin hinge – no visible fasteners. 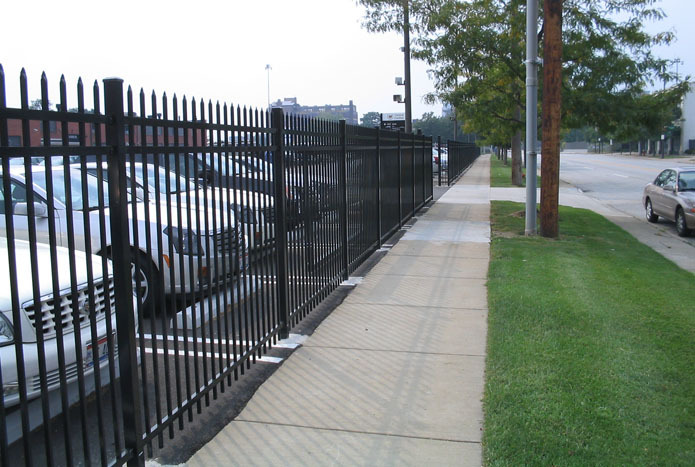 Perfectly smooth rails on both sides – no unsightly picket-to-rail connection point. 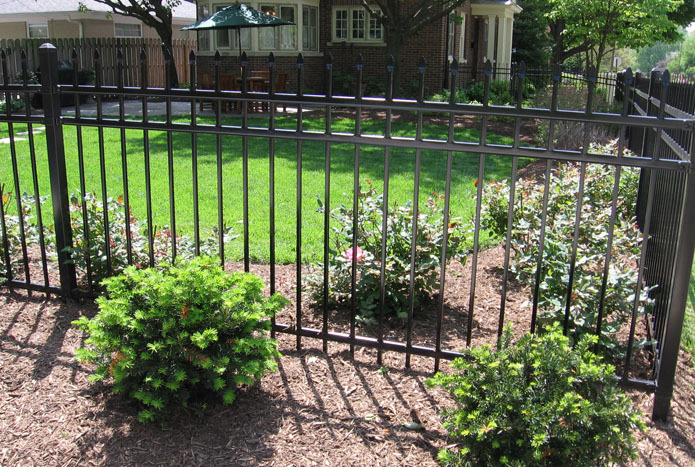 100% pre-galvanized and powder coated iron which means virtually maintenance free. 20 year limited manufacturer warranty. 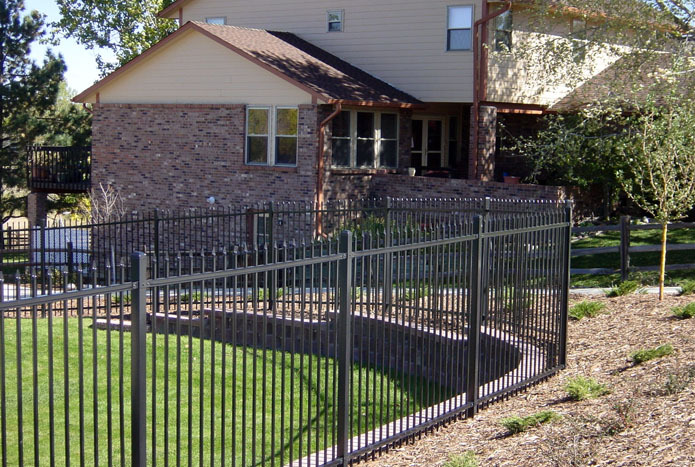 Rigid welded steel construction – twice the strength of aluminum fence. Pre-punched mounting holes for simple and cost effective bracket installation. 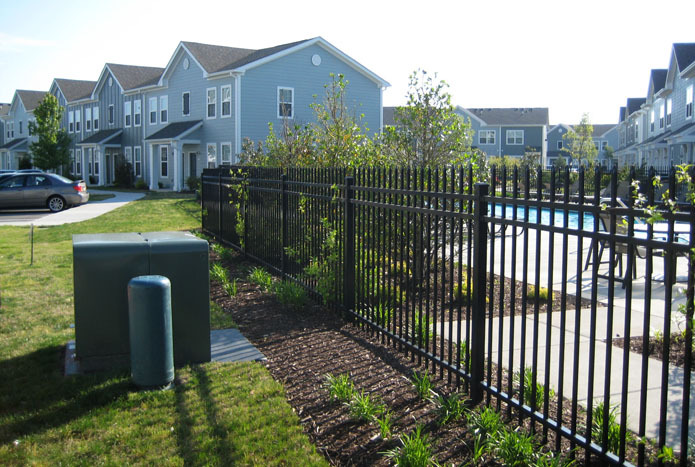 Traditional Residential 1″ rail & 5/8″ picket. 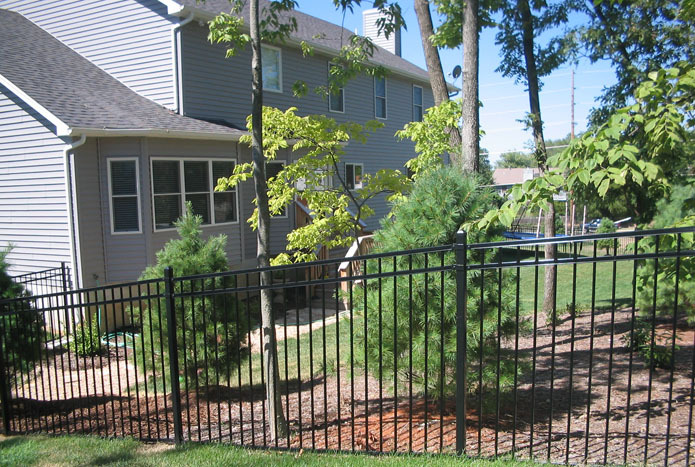 Steel Ornamental Fence is virtually maintenance free. 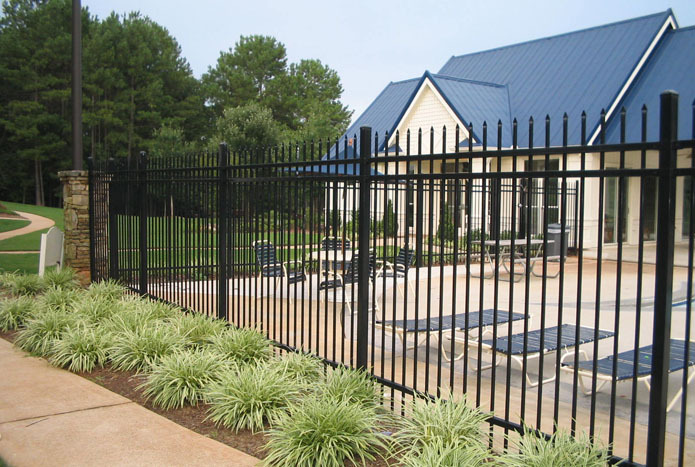 With the ability to resist effects of weathering, Steel Ornamental Fence is coated with FortressShield which is a specialized mixture that encompasses a premium powder coating loaded with UV inhibitors and a heavy zinc galvanization treatment.